I am thrilled to have found these amazing octahedral power tools being made by Tom van Emmerik in Holland. 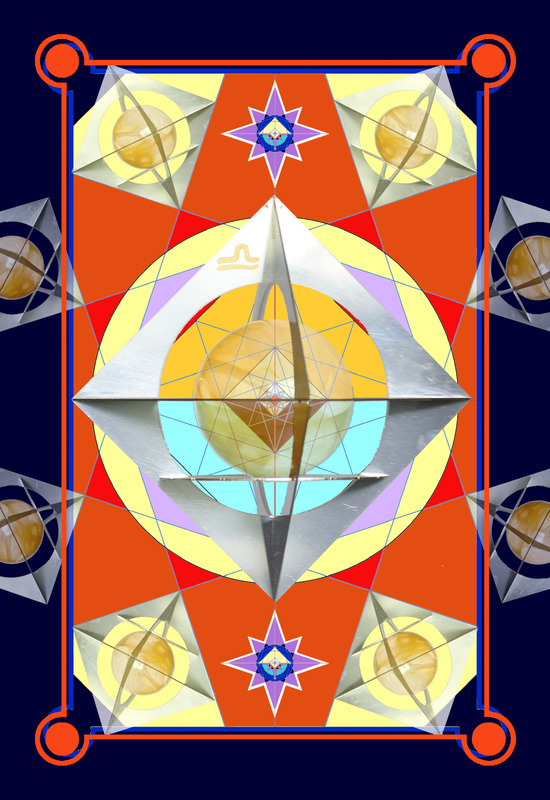 It was delightful to note that he was specifically guided to create them and has experienced the energetic effect and influence of this sacred shape on the surrounding environment. I am not selling these directly yet, however Tom accepts orders via email and paypal. I just love them!! 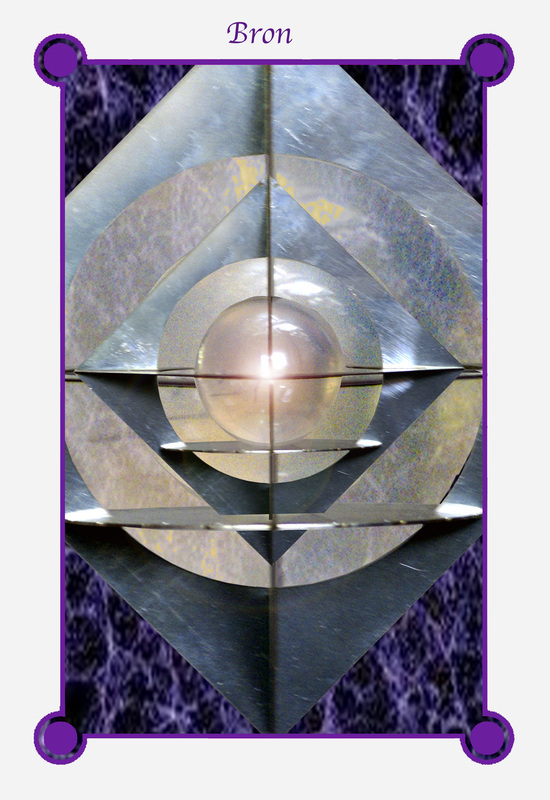 I have 2 of these amazing structures that emit a beautiful vibration into the space in which they hang. I charge all my vibrational essences, oils and sprays in them for potency and highly recommend them for helping you to hold a powerful diamond consciousness space. Take a look at some of the short videos Tom created showing the suspended 'light pyramids' here. Tom's description of these beautiful objects is below. It is translated from his native language (dutch), however the sentiment and insights are clear. 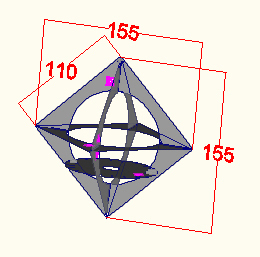 They embody the essence of all I have been teaching in respect of the octahedron. 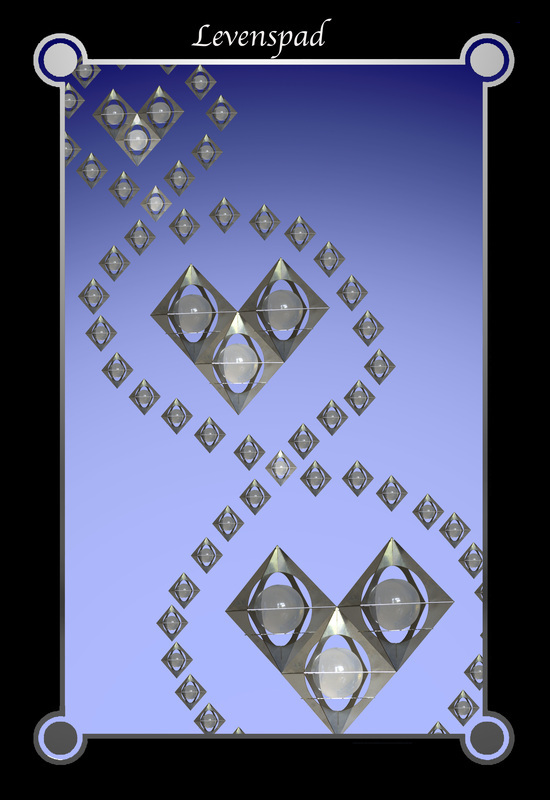 Tom also created a few meditation cards using photos of his octahedral light tools which give you a clearer image of the structure itself and how it captures and moves light! Scroll down the page for the card images. The power tool I have developed has announced herself by a few little signs. These announcements have confirmed me in 2010 to develop this tool and now 2013 to make her also available at her own page on the internet. 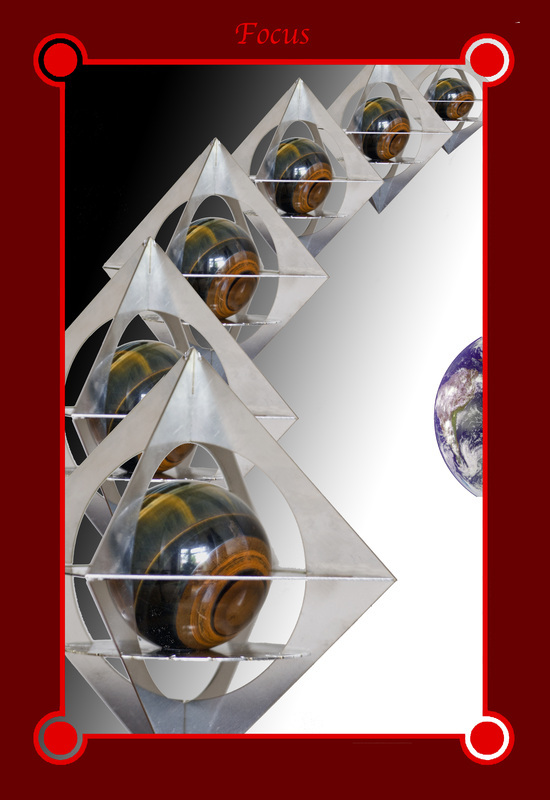 This energetic instrument can significantly improve the quality of the energy in a room. She cleans and improves also the focus and silence while doing a meditation. The developed form in which a sphere can be placed, has straight male lines on the outside and round female circles on the inside. So the male and the female energy is melting and working together in the Light Pyramid. 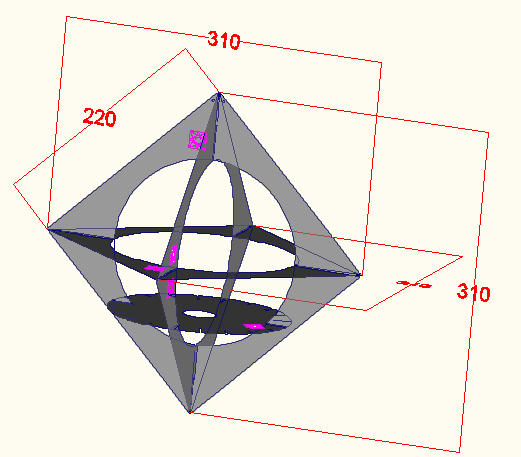 However, the gemstone sphere in the middle of the octahedron includes all centers of gravity including the point where all the centers of gravity coincide and thereby acts as a cosmic eye to the next area (dimension). An eye that incorporates both inwardly, as also radiates outward. 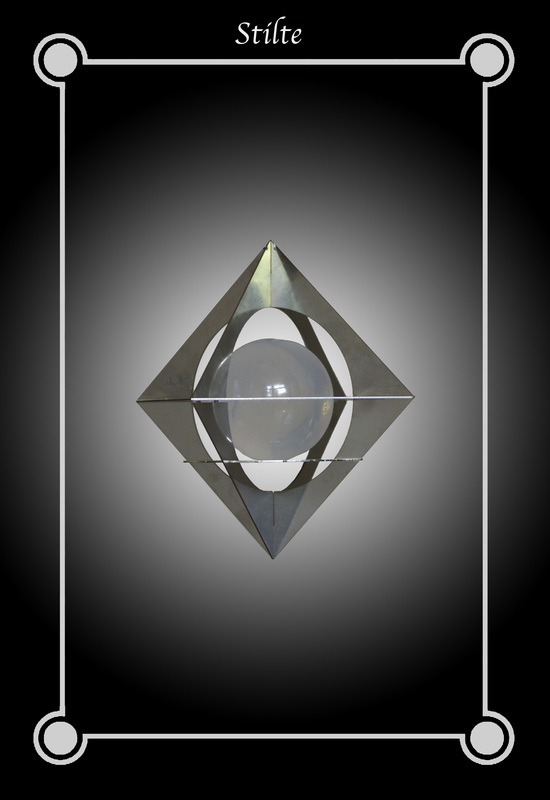 A precious sphere of itself has a very high purity, which absorbs and radiates evenly, but placed in the Light Pyramid becomes the connection to the data source a Living fact. The Light of the pyramids shines through the stone into space. Perfect to clean, to tune into, to harmonize , but also perfect to let it work into your system. The Eye that give life power and also give us a glimpse into what is, IS. She has announced herself has been manifested and just may be there now! "That she will find her way"
Tom's specially created cards using images of his beautiful Octahedra!